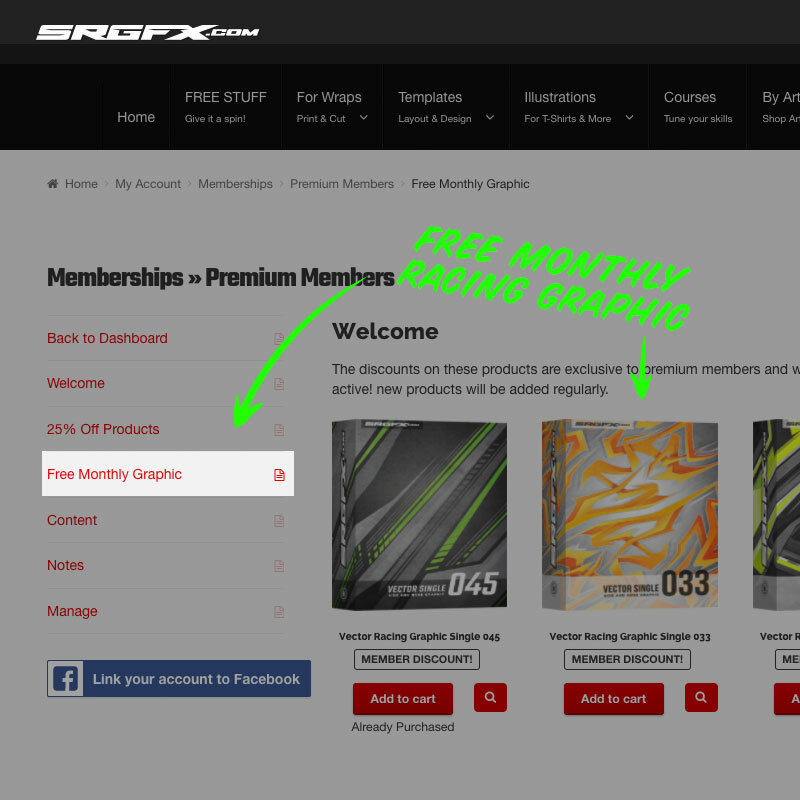 By signing up for SRGFX Premium membership you will be added to our text messaging and email newsletter lists. These communication avenues will provide you with updates and coupons to your premium membership. You can chose to opt out of both of these forms of communication with us and check your membership area manually for updates. 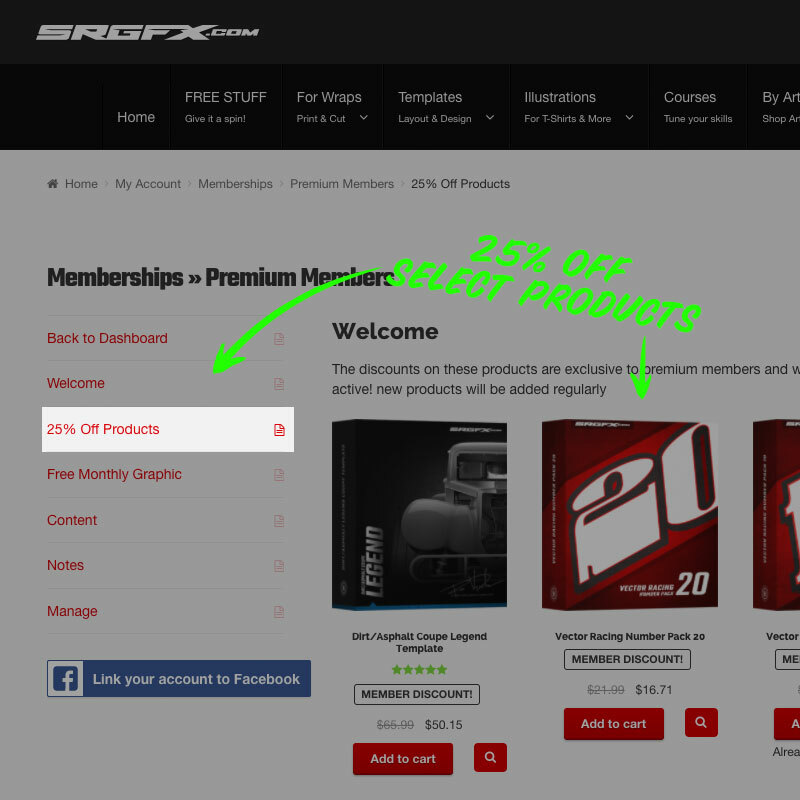 You will only receive these updates as an active member of the SRGFX premium membership. 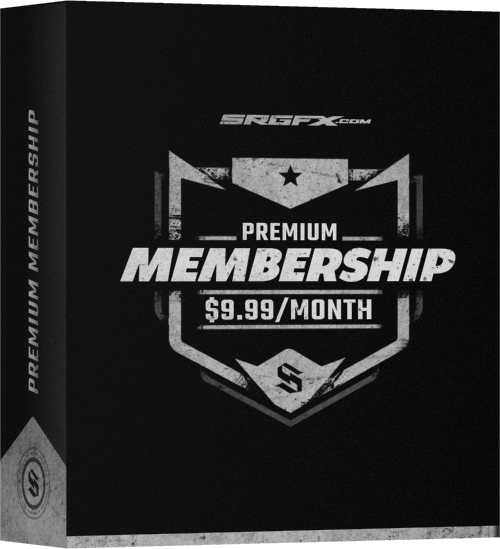 More Details Get more details about Premium Membership! I’m working through the Mastering Adobe Illustrator course now. It is great, very informative and I’ve already learned a lot and I’m not even half way through. This coming from someone with no illustrator experience previously. 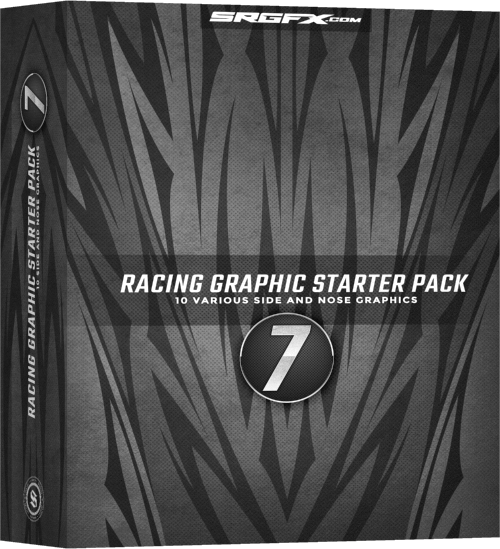 Highly recommended and plan to purchase the Mastering Race Wraps course at some point as well! I’m also subscribed to the site — live sponsor templates are great, free vector graphic monthly along with other benefits. Definitely worth 9.99/mo. This is a deal you honestly can’t pass up! 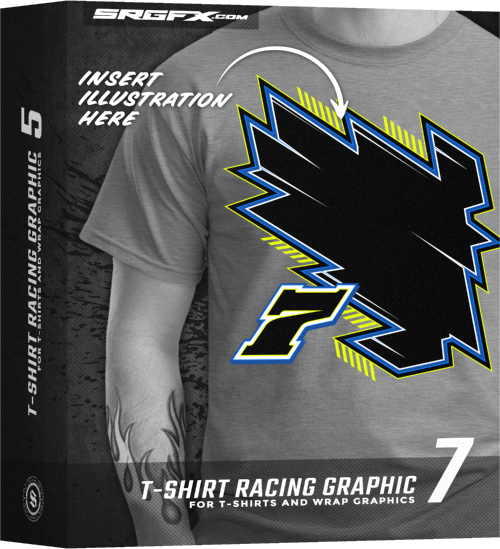 School of Racing Graphics has seriously taken my designs to a whole new level and landed me numerous new jobs. So knowing that i can get anything from their site at a discount plus a free weekly single that is worth at least the membership press is a monthly no brainer for me. I couldn’t be happier! I started using their products several years ago. Don’t know how I would have built my business without them! 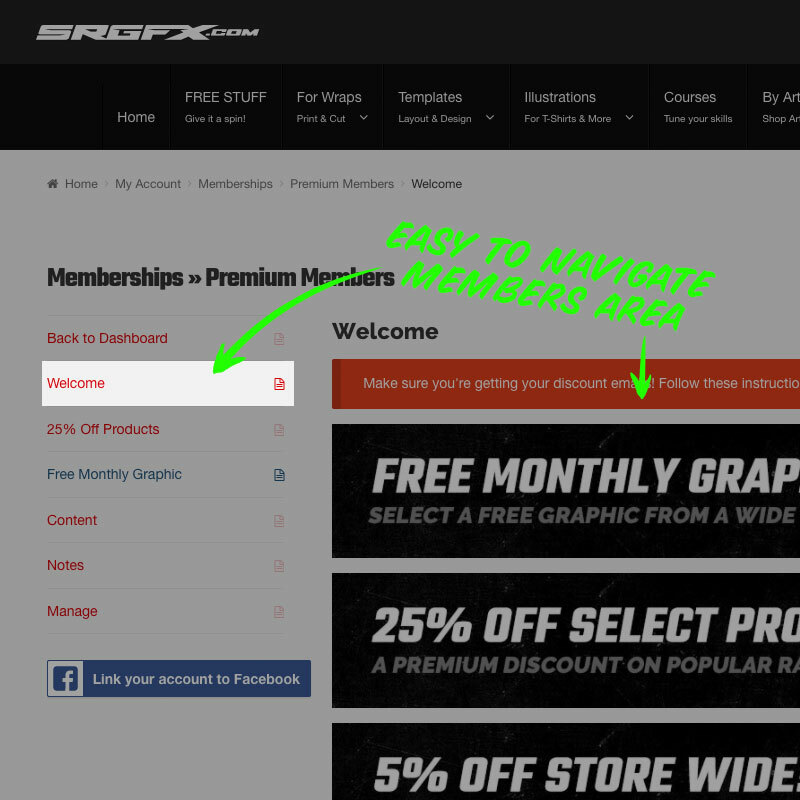 The premium membership is another great tool in my bag. The free single makes it worth the money, but the other benefits increase the value even more. And the staff is great and full of knowledge. Go Premium, you won’t regret it! Talk about a deal! 9.99 with a free single means you pretty much get a graphic each month with 30% off! Then add on the monthly deals alone and you’re saving a lot of money and increasing productivity! 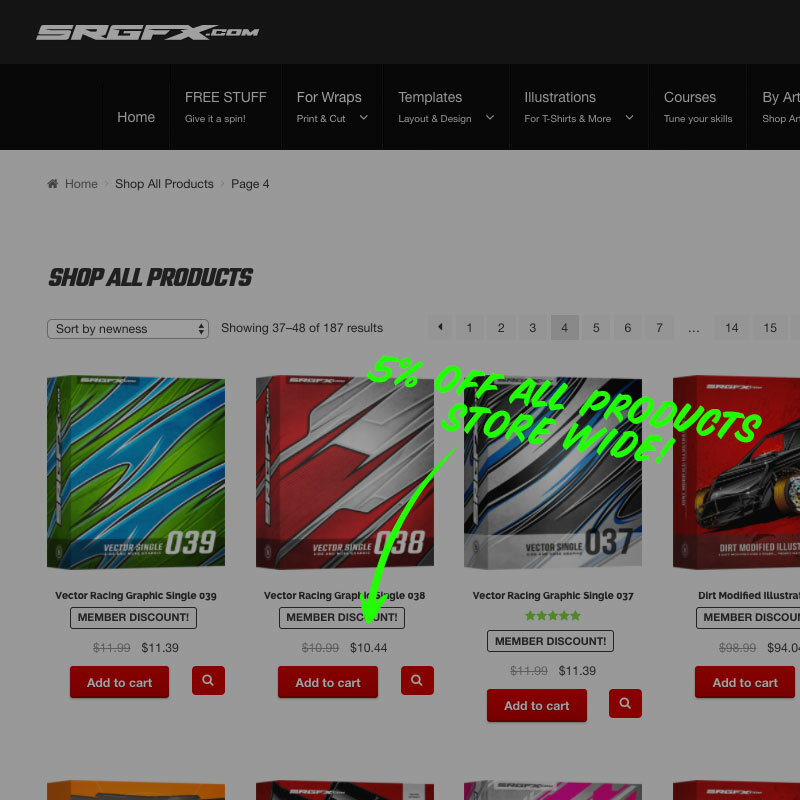 Love what SRGFX is doing for its customers!